patterns -- solutions to common design problems, tailored to the situation at hand. Each pattern contains practical advice that you can put to use immediately, plus a variety of examples illustrated in full color. You'll get recommendations, design alternatives, and warnings on when not to use them. Each chapter's introduction describes key design concepts that are often misunderstood, such as affordances, visual hierarchy, navigational distance, and the use of color. These give you a deeper understanding of why the patterns work, and how to apply them with more insight. 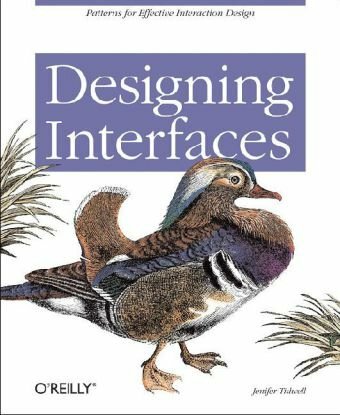 A book can't design an interface for you -- no foolproof design process is given here -- but "Designing Interfaces does give you concrete ideas that you can mix and recombine as you see fit. Experienced designers can use it as a sourcebook of ideas. Novice designers will find a roadmap to the world of interface and interaction design, with enough guidance to start using these patterns immediately.